An architectural firm in Dewsbury has welcomed a new member to its team. 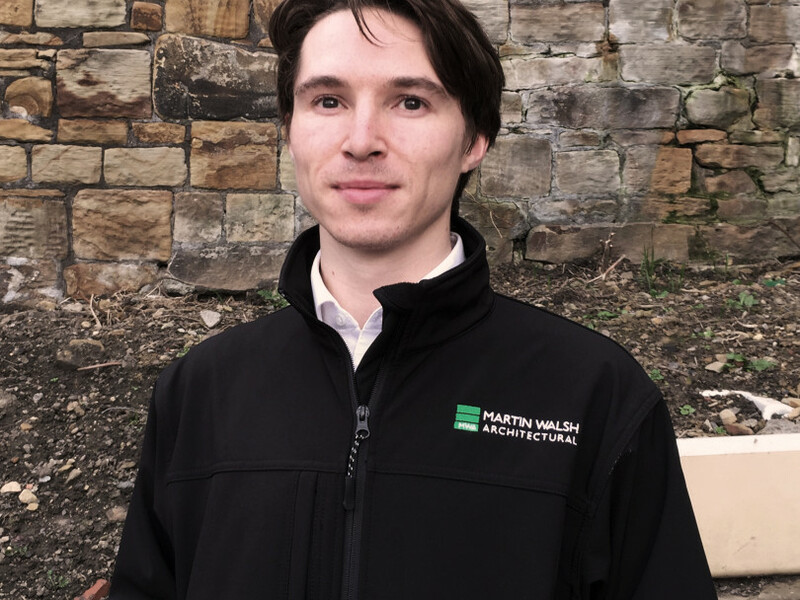 Joseph Prior, who recently completed a Masters of Architecture Degree at Leeds Beckett University, has joined Martin Walsh Architectural (MWA) as an assistant. “MWA is a well-established practice with a fantastic team of colleagues which I am really pleased to be a part of,” said Joseph. “Through my role I am looking forward to working with our clients to shape the space around them whilst also reinforcing a commitment to the environment and designing properties that are sustainable for future generations. Founded in 1976, Martin Walsh Architectural is a family-owned architectural consultancy based on Leeds Road in Dewsbury. Director Matt Robinson said: “Joseph has a great deal to offer our practice, he is hard working, passionate and a great team player.